My weekly layouts are really the heart of my Bullet Journal. 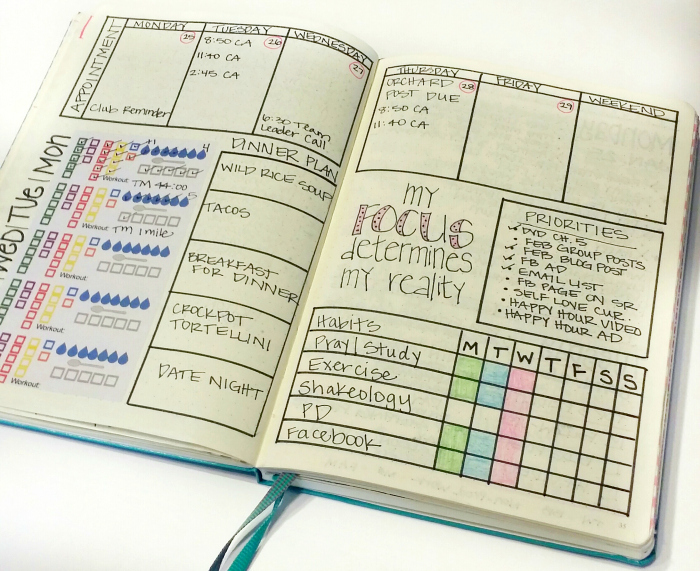 I like to think of them as a weekly hub where I can plan, prioritize, and get a big picture view of the week ahead! There are others who use a weekly instead of dailies. 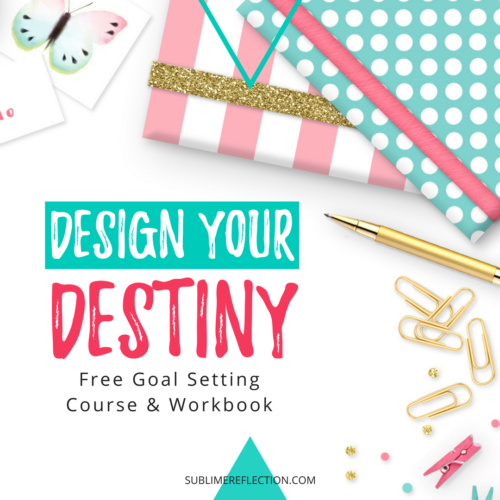 I use a full page every day, so wouldn’t be able to fit all of that on a 2-page weekly layout, but I think it’s a great idea if it works for you. Weekly layouts aren’t part of the original Bullet Journal system, but I think they are a great addition, and I’d be lost without mine. 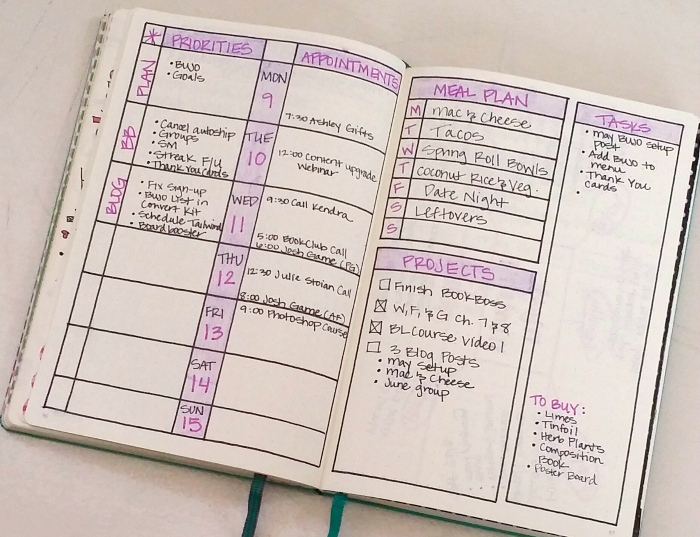 I think the biggest benefit for me is that it helps to organize my brain at the beginning of the week. I have one master list of the most important tasks I need to get done, and a mental and visual reminder about any appointments all in one central location. My weekly layouts have changed quite a bit over time. For me, part of the fun of bullet journaling is that it allows me to be creative. 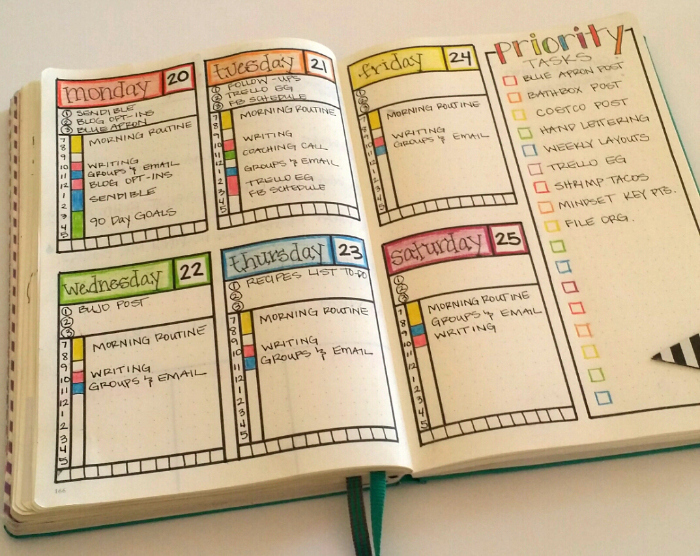 I personally like changing my weekly every week, but you might like finding a layout that you love and using it over and over. 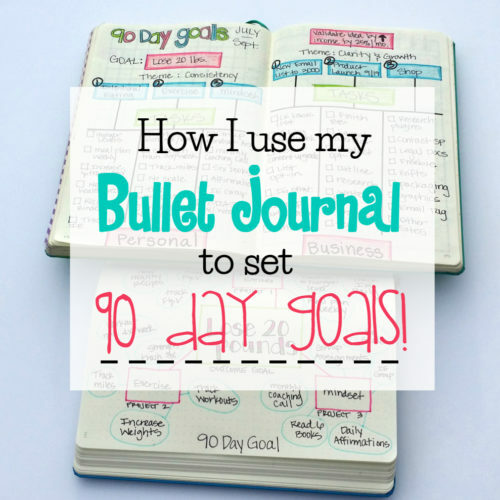 That’s the magic of the Bullet Journal! You can do whatever works best for you. 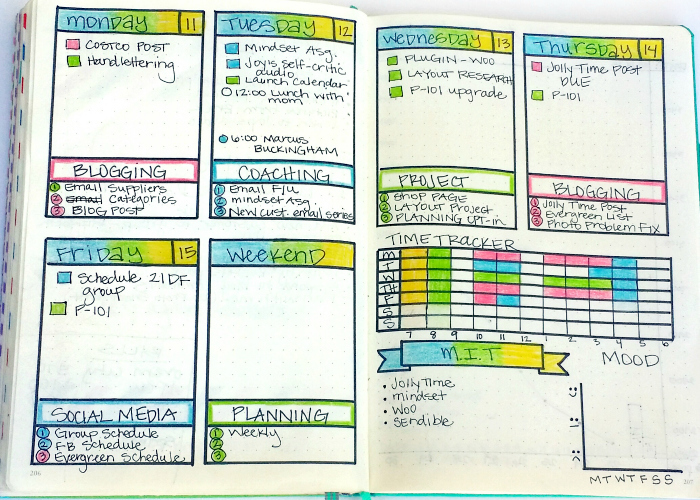 To give you some ideas, I’m sharing several of my weekly layouts below, starting with the most recent. You’ll see how mine have changed over time as I experiment with adding new things and taking away anything that didn’t work. Weekly calendar wheel–I added scheduled appointments, a theme for each day to keep me focused, and a few top priority tasks for each day. Notes: There’s really not a practical reason for using the wheel vs. traditional boxes, but I thought it would fun to try and I like that it’s visually appealing. The Projects box was helpful for me to brain dump some priorities for this week. 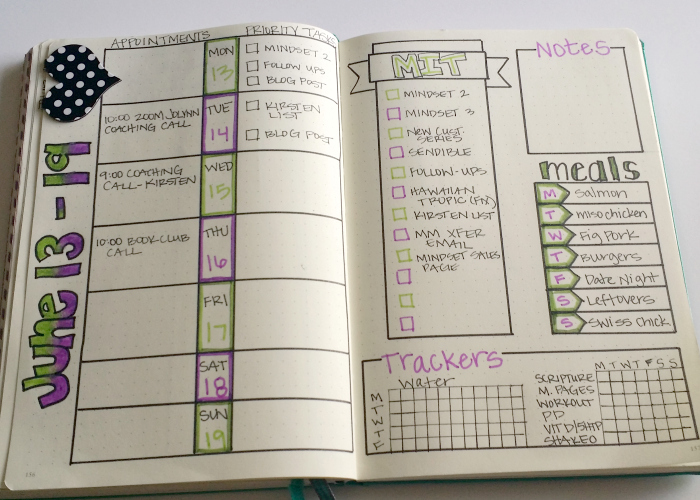 Notes: I didn’t like having the time tracker on each day. I still felt the need to copy it to my daily layout. I also transferred my top 3 priorities to each daily, but it was nice to get a weekly overview of the tasks and plan the week ahead of time to spread the work out and make it manageable. Dutch door–the middle page is folded in half to give extra room. The back side you can’t see has my intuitive eating food log, and I used inside the folded page for journaling. Notes: I liked the concept of the “dutch door”, but in reality, it didn’t work out as well for me as a 2-page spread. It was worth a try though! 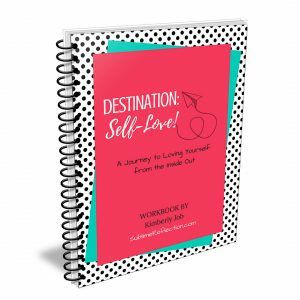 Notes: I really liked adding a list of the most important tasks because I always have way more to do than I can actually accomplish, so this helped me know what to work on first. Notes: This layout worked pretty well for me, but was a little too detailed. I feel like some of this info is better suited to my daily layout. Notes: Nothing new this week, but I loved these colors!! I used the Bright Tombow dual brush markers. Notes: The only new thing this week is the currently reading list. I liked the concept, but decided to create a full-page currently reading list instead. Notes: If I had to pick a layout to fall back on, especially if I’m short on time, this would probably be it. Super easy to create because it’s all straight lines, one color, and simple. Notes: I used these labels when I was following the 21 Day Fix eating plan. I just print them out on sticker paper because it’s way easier than drawing it every day. 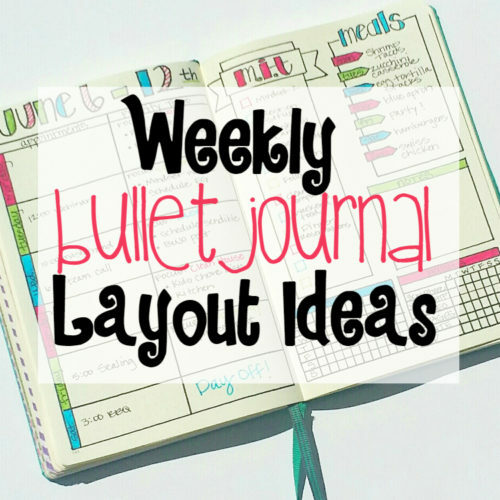 Layout Ideas: Weekly Layouts from Kim at Tiny Ray of Sunshine. 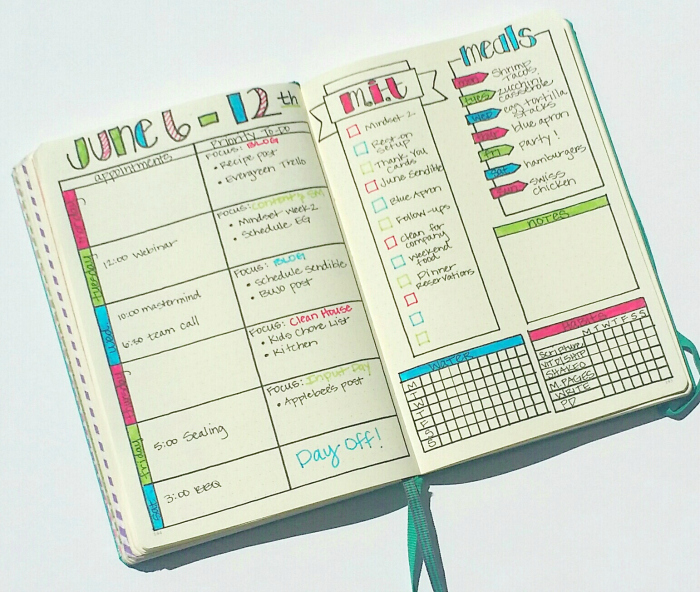 Weekly Spread Ideas for your Bullet Journal from Christina at Christina77Star. I love seeing all the weekly layouts you’ve tried! I tend to do something and then not change anything; I’m just such a creature of habit – it’s so nice to see you experiment like this. Thank you! Experimenting is one of my favorite things about Bullet Journaling! 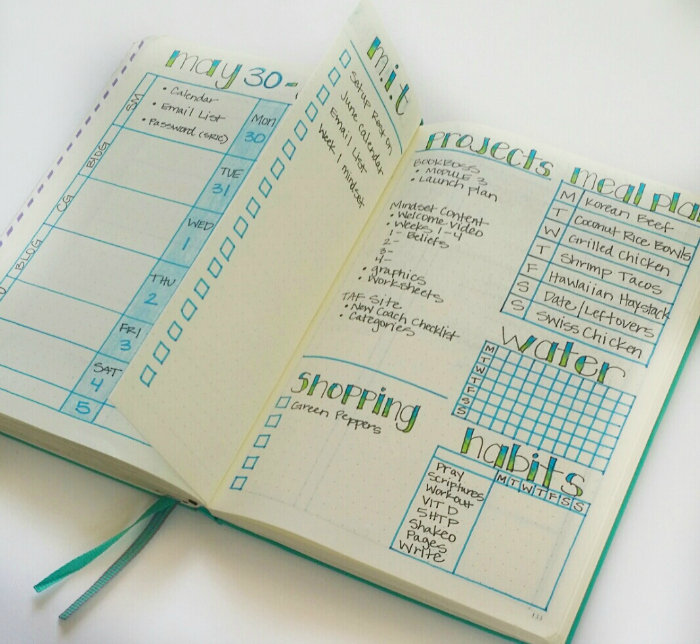 Where can I find that particular 21 day fix tracking layout so I can print them, too? Contact me and let me know which calorie level you’re on, and I’ll send you the file. Thanks, I love this ideas……. Thanks for this great ideas…… I loved…..
Did you redraw each day or did you have a printout that was used and pasted in? If you hand drew them, how long does it take you? I hand draw them. I spend a couple hours every Sunday night planning for the week ahead. You can make it as simple or fancy as you like, so it doesn’t have to take that long. I actually enjoy spending time on it. You have some great layout ideas, here. 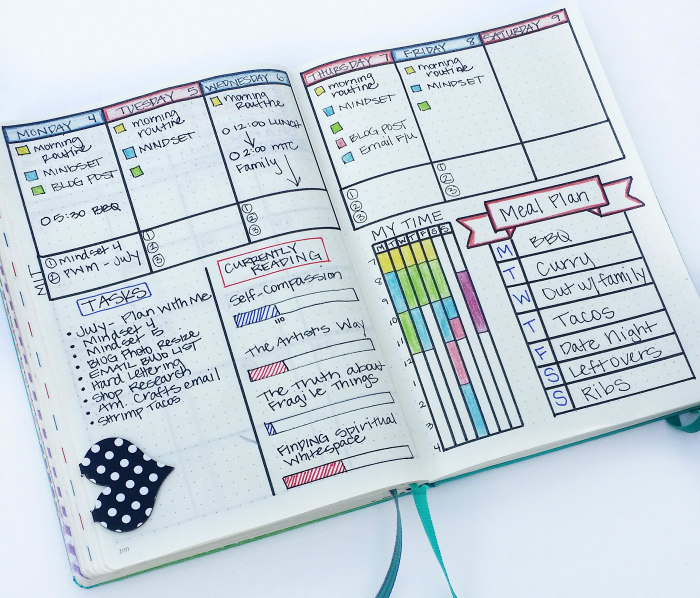 I really like a few of the different elements you have used over the weeks you’ve shown, and I’m already mentally planning how to implement them in my own planner. Thanks so much for sharing and inspiring! 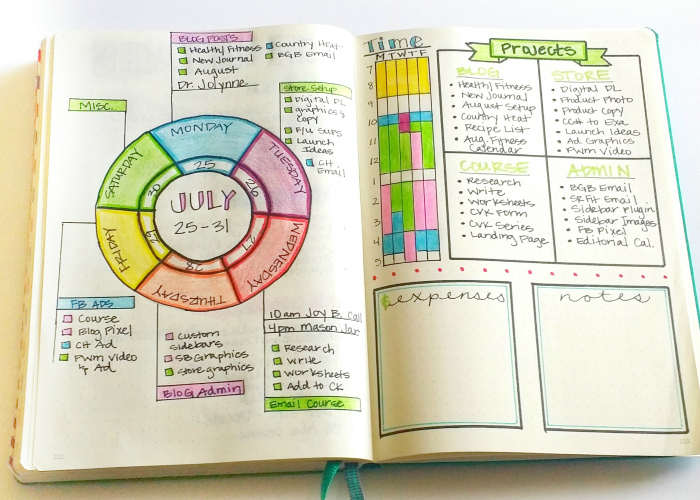 I adore your journaling and colorful creativity. Every time I am inspired by a great layout, I want to incorporate it into my bujo and end up staring at the blank page unable to draw the layout and bring it to life. So I end up with boxes and bullets in one color, simple and functional but not pretty. 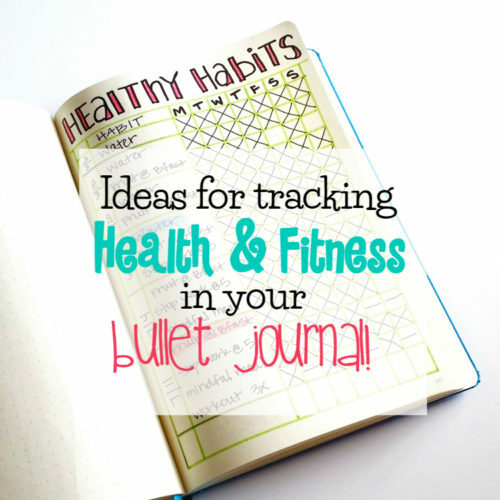 Love your bullet journal ideas. – Do you hand draw the calendar wheel if so can you give us some tips please? Yes, I hand drew it. I just found two round objects that were different sizes and traced around them. Since then, I’ve purchased a cheap compass like you used to use in elementary school math. Hi, do you have any suggestions for writing instruments (other than colored pencils) that don’t bleed through the page or leave a dent on the other side? I love the different colors the pencils offer, but am looking for something a little bolder. I really like Staedtler fineliners. They don’t bleed through, but they do ghost a bit on the other side. I also really like Papermate Flair Markers. I constantly change things up! That’s part of the fun, I think. 🙂 Headed to check out your post now. I really love the ideas. Thank you for sharing these. 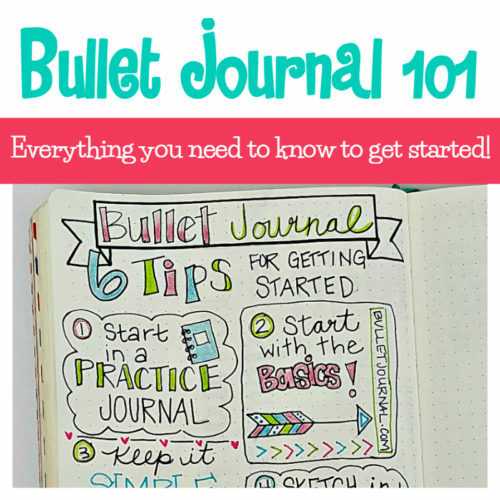 I am interested in starting bullet journaling and these will definitely help. Can you please tell me what does “mindset” mean in your journal pages? I created a mindset program for my health/fitness support group, so it referred to tasks I had to get done for that. 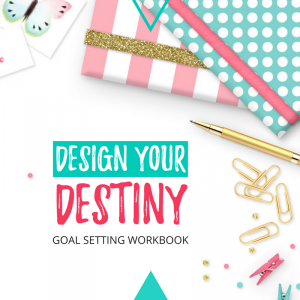 Love, love, totally in love with these colorful layout ideas. Best i’ve seen! I will be blatantly copying until I feel confident enough to come up with my own, i am a toal newbie to this. thanks again for the great ideas. Where to buy this notebook? 😀 Nowhere I can not find it. So is your theme. May I know your theme name used here? It’s the Market Theme from Restored 316. 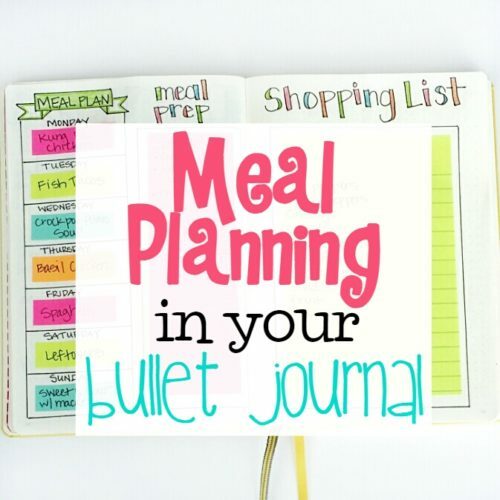 Is there a single page on your website that lists the downloadable bullet journal templates available? Or do you sell them somewhere? You’ve got some really great designs. I love to bujo, but I’m not a very good drawer. I envy your talent!